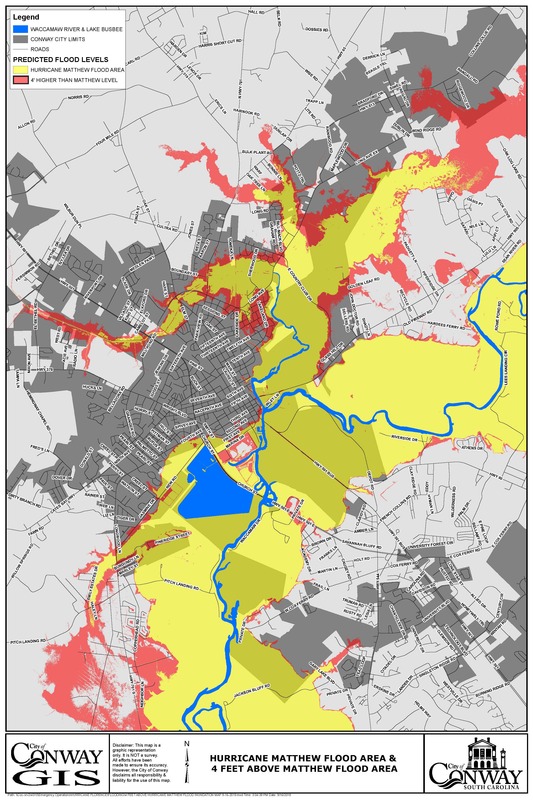 City staff members are passing this flood map to warn residents about where the water is projected to be in the next few days. Flash flooding the City of Conway saw Monday may be receding now. However, the water will rise in the coming days and will reach a new record next Tuesday.